655 miles. 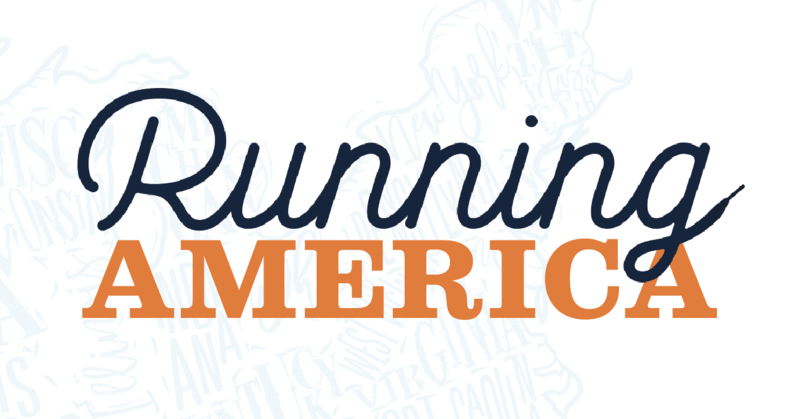 That’s how many miles it took Ashley Ahner ’10 to run a half-marathon in every American state over the course of more than 10 years. But there is nothing ‘half’ about what Ahner accomplished. 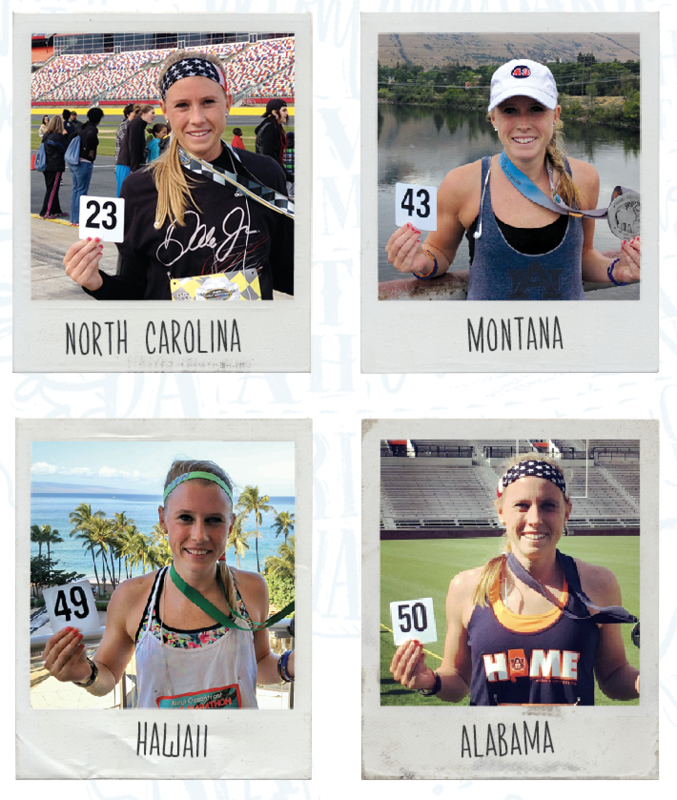 She crossed the Golden Gate Bridge, ran through the Tetons, Disney World, the Vegas Strip and on the shores of Virginia Beach, all to end her cross-country race on the 50 yard line in Jordan-Hare Stadium in March of 2016. Her passion for running began on the local cross country team as a way for her and her friends to have “mandatory ‘hang out’ time that our parents couldn’t say no to,” Ahner says. That led to her first race, the Spirit of St. Louis half-marathon in April of 2005. “Then, in college, I continued to run a few miles a couple times a week to explore the new sidewalks in Auburn and to start my day off with the opportunity to mentally organize my busy schedule and prepare for the day ahead” says Ahner. A fast food combo and a good podcast kicked off every race. Soon, Ahner was competing in half-marathons all over the United States. “Every race was different and special and an incredible opportunity to see all that our beautiful country has to offer,” says Ahner. After 49 races, she had one state left: Alabama. The Finish on the 50 race starts at Toomer’s Corner and ends on the 50 yard line in Jordan-Hare. And it is the race that gets her choked up the most. As she made her way down Donahue, she had her “very own personal Tiger Walk/Run” says Ahner. Friends and family had gathered at the finish line to watch her join an elite club of runners, one that requires persistence, drive and big dreams to join. “Words cannot describe the feeling and at the time I couldn’t even rationalize what was going on around me. I ran with four of my good friends, three of which had run previous states with me and I even had a few strangers who I had met at previous races sign up and travel to this race to be there for my finish” Ahner says. It was the finish line of all finish lines. While her feet might have physically gotten her through the race, it was her Auburn education that taught her to dream big. “Auburn provides such an incredible education and experience that can take alumni far and wide in the real world” says the 2011 masters graduate. So, what comes next for a runner of Ashley’s caliber? “I do have a few plans up my sleeve, but I’m not going to divulge them just yet. It’s more fun to keep the ‘fans’ guessing!” says Ahner. For now, her newest journey involves white sandy beaches and the opportunity to start fresh. In August, Ashley moved her entire life to Hawaii to “live out a pretend mid-life retirement until I decide what I want my next career adventure to be” she says. While she may be keeping mum on her future plans, there is no doubt they will contain an adventurous edge that only someone with as much grit as Ashley Ahner can deliver. 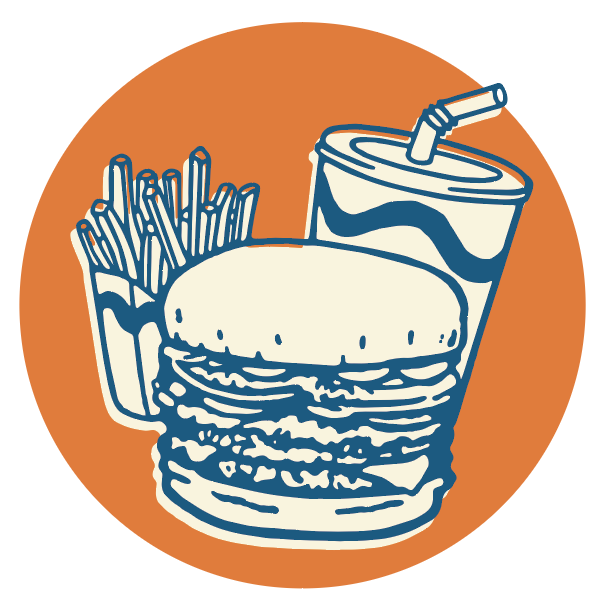 And, maybe a few fast food combos.